The good people of the Rotary Club of Lantzville encouraged members and friends to come out to Fairwinds Golf Course on the gloomy days of February 3-6, 2016 to play golf by donation. Originally scheduled over the New Year’s holiday, frost stopped the golfers in their tracks and so Rotary members changed the charity event to the days that Fairwinds closed their pro-shop in order to install new systems. 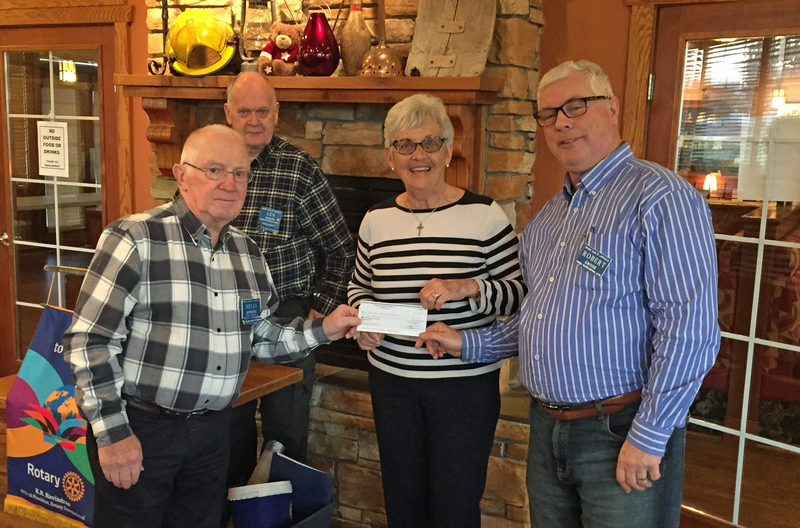 Nanoose Community Services was thrilled to receive a cheque for $1,000 from the Rotary Club representatives, Brian Rodgers and Robert Grose.